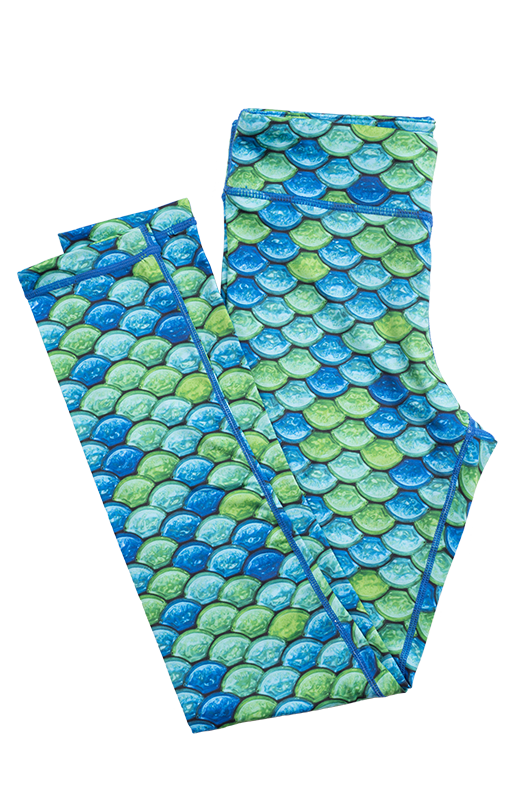 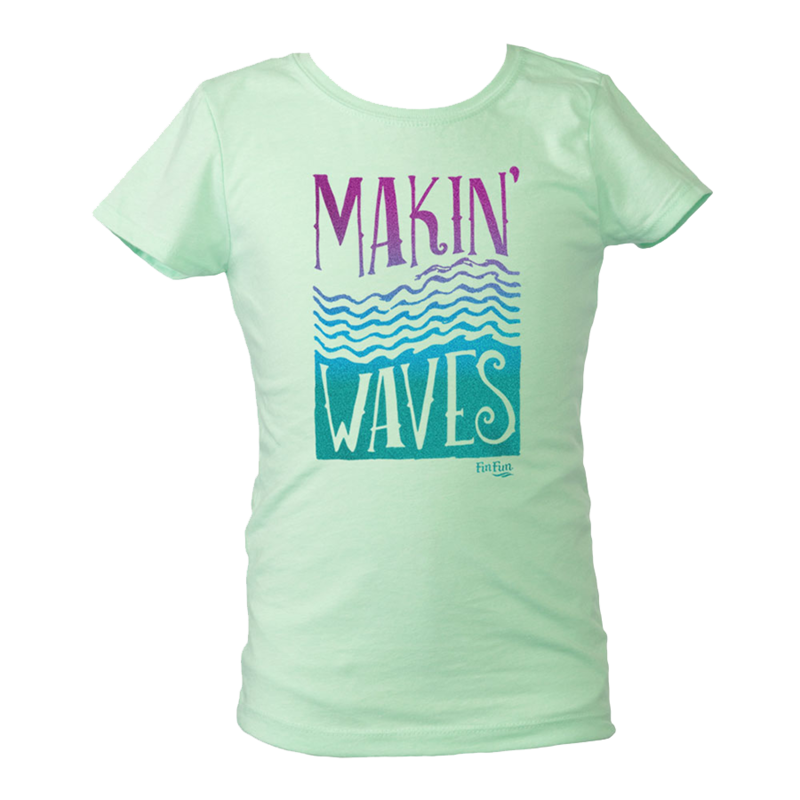 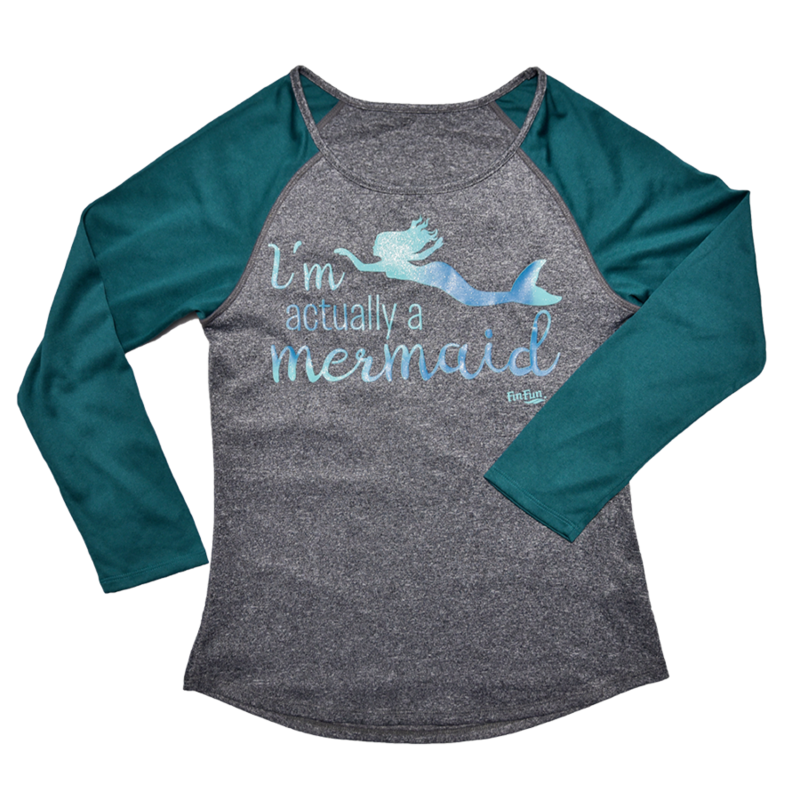 Fin Fun’s exclusive Makin’ Waves Tee in Mint is a bold way to show off your love for mermaiding. 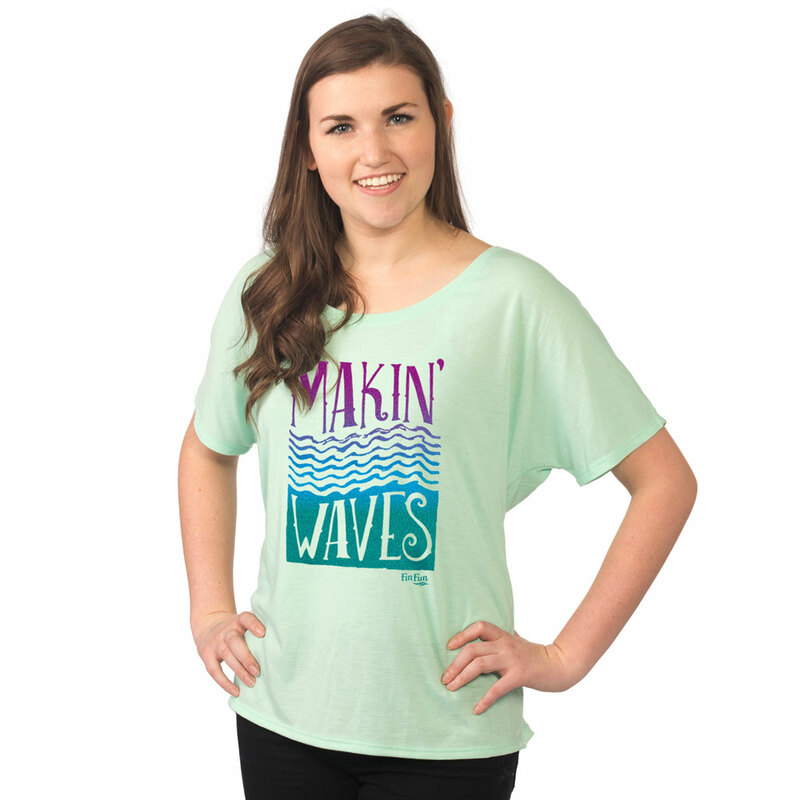 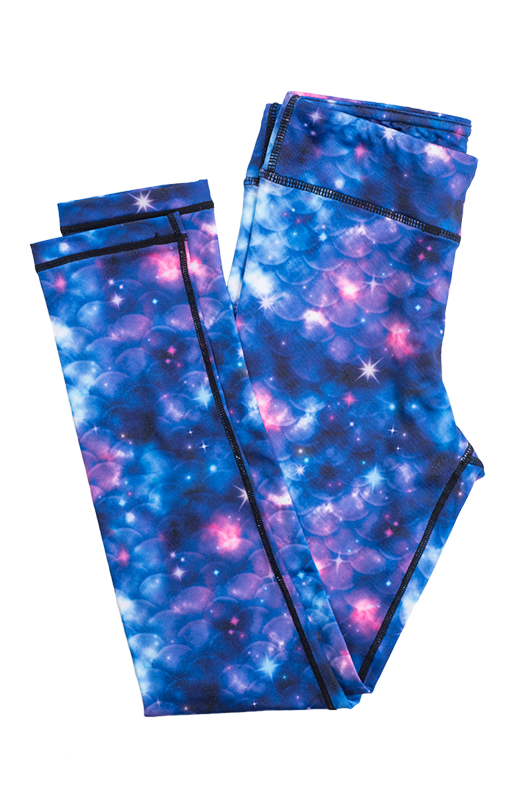 In a vintage mint featuring a magenta, blue, and teal ombre print, this shirt is stylish and cool. 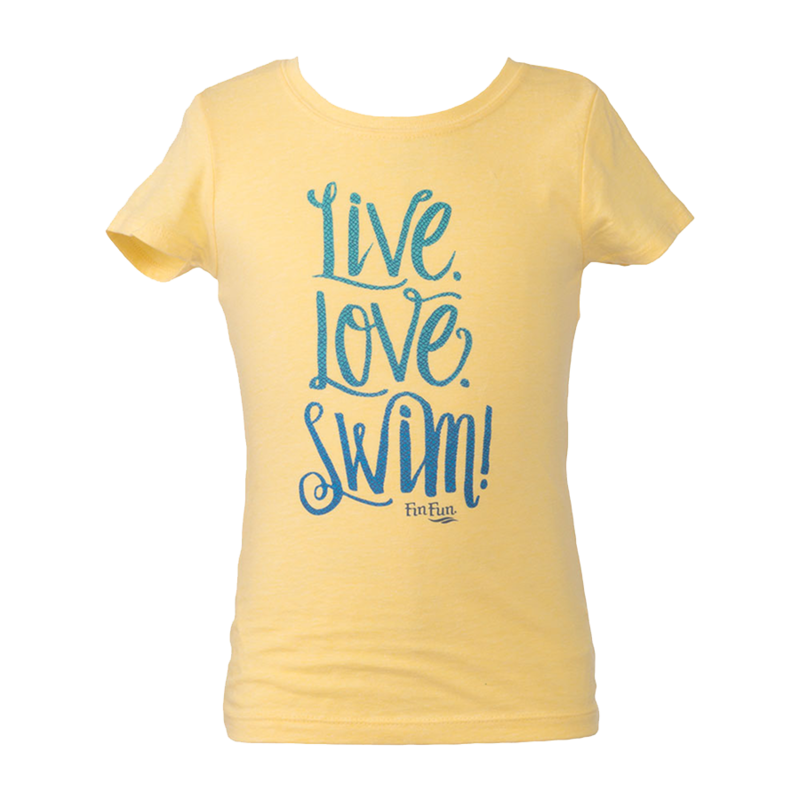 With a stylish girl cut, this tee features a slim fit for a fashion-forward but casual look.